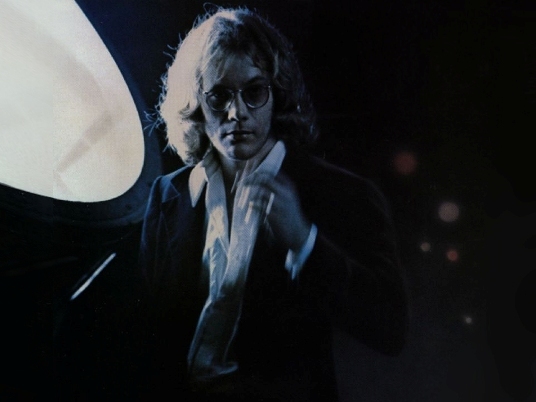 On 1978’s Excitable Boy, Warren Zevon crafted an album populated by werewolves, psychopaths, and mercenaries. It became his biggest hit, which is somehow fitting considering Zevon’s legacy as a no-BS chronicler of the darker corners of existence. He had a way of romanticizing these characters with his gorgeous piano-driven melodies even as his lyrics refused to sugar-coat their exploits. While Lindell likely deserves credit for providing crucial details about the mercenary life and the many conflicts in which they were embroiled, Zevon’s songwriting finesse turns the tale into something larger-than-life. Roland is a Norwegian mercenary whose motives are both altruistic and self-serving (“They killed to earn their living and to help out the Congolese.”) The awful truths of his occupation are clear (the men do their job “knee-deep in gore,”) but his unmatchable skill with his Thompson gun puts him in the sights of the CIA. Roland gets his revenge, of course, blowing his nemesis “from here to Johannesburg.” He ends the song as a headless apparition wandering from conflict to conflict, settling scores for those who don’t have the ability to do it themselves. Zevon ends the song with a laundry list of these bloody frays, and that list has only gotten innumerably longer since the song was recorded. The song was a favorite of David Letterman, and, when an ailing Zevon made his last appearance on the show shortly before his death in 2003, Letterman insisted he perform it to close the show. Warren defiantly snarled his way through the performance, which would be his last, showing that the grit and honesty that made him such a unique songwriter were still intact. It’s a great song, and it was the perfect way for Warren Zevon to hasten down the wind.